ICE HOCKEY has been played in the UK for more than 100 years and to celebrate this fantastic milestone, players, officials and supporters from various eras have planned a big charity weekend. 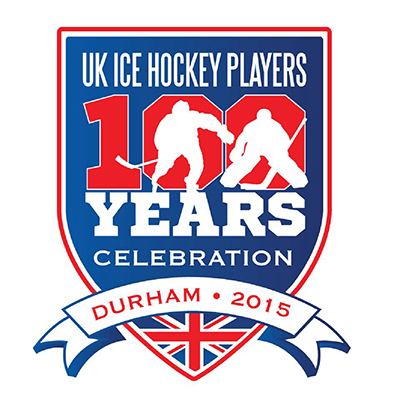 Durham – once a powerhouse in the sport and where many legends made their name – will host a celebration event at the Ramside Golf and Hotel complex on Friday July 31 and August 1, 2015. Organisers Scott Plews and Frankie Killen are hopeful players and officials and supporters from over the years will rally round and support ice hockey’s fight against Cancer by attending the fun and nostalgic weekend. “This will be a great event that celebrates this superb sport,” Frankie said. “The evening gala dinner in particular will be a special night and steeped in nostalgia. “Not only will it raise money for cancer but it will feature interviews and awards with many famous faces from the Murrayfield Hand brothers to Alex Dampier, Peter Jonker Johnson, Gary Stefan, Cardiff’s Nicky Chin and Jeff Smith as well as the likes of Ayr’s Bernie McCrone and many more ex players and officials from ice hockey. For those who like a spot of golf, a Friday practice round has been organised at the Ramside championship course with clubhouse catering before the ‘championship’ with fantastic team and individual prizes on Saturday. For the non golfers fishing and the newly opened health spa will be available before the fundraising gala dinner on the evening where various awards will be handed out throughout the night. You can support the event by sponsoring one of the 18 tee boxes starting at £125 per hole or simply donate to our two cancer charities Teenage Cancer Trust & Macmillan Cancer.